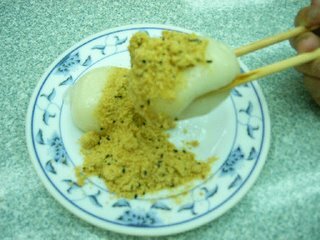 This is a dessert that can be commonly found throughout Taipei. It’s a glutinous dough ball (slightly larger than a golf ball) with a very liberal sprinkling of finely chopped peanut, flavoured with sugar and sesame, on top. The bettermade ones are very light to the taste, and melt quickly in the mouth. You have to eat it really quick though, when it is hot, as it tends to get too sticky and chewy when cool. 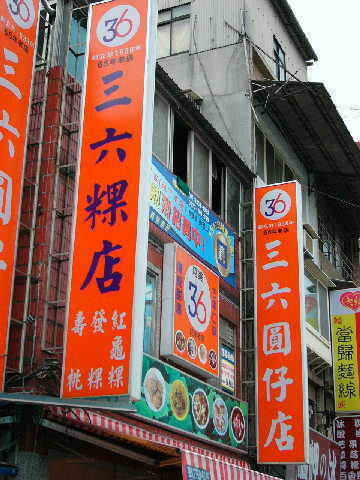 My favourite place to eat muah chee (NT$35, under US$1) is at a dessert stall near the Long Shan Temple, known as 136 Dessert Stall. 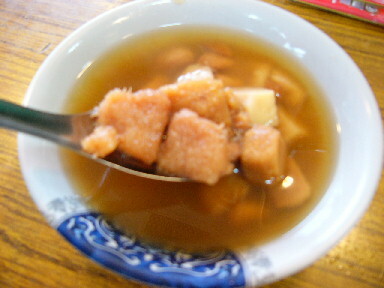 This place sells a very wicked yam dessert – pieces of yam in ginger soup – and an assortment of others from ice shavings with your own selected toppings to red bean soup.